This 'cute' little cigar with a full bodied taste can be enjoyed at any time of the day or night and is often considered a good companion cigar. It burns rapidly, letting off mild honey aromas on a bed of exotic wood and pink pepper. The second part of this cigar comes to life through injections of acidic floral notes. Take the time to smoke, do not rush or you will loose the essence of the Du Depute. This 'cute' little cigar with a full bodied taste can be enjoyed at any time of the day or night and is often considered a good companion cigar. It burns rapidly, letting off mild honey aromas on a bed of exotic wood and pink pepper. 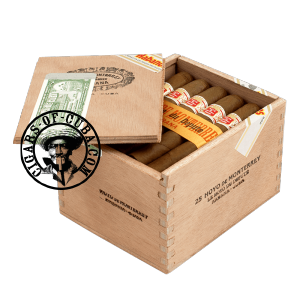 The second part of this cigar comes to life through injections of acidic floral notes. Take the time to smoke, do not rush or you will loose the essence of the Du Depute.